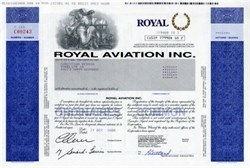 Beautifully engraved certificate from the Royal Aviation Company issued in Canada. 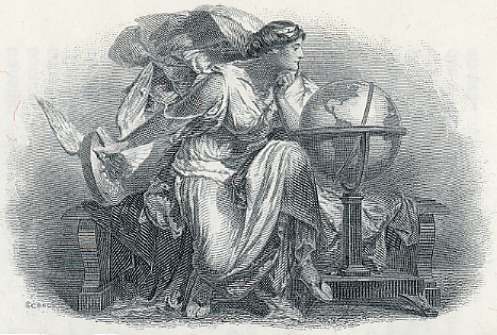 This historic document was printed by the American Bank Note Company and has an ornate border around it with a vignette of an allegorical woman looking down on a globe. This item is hand signed by the Company's President and Secretary. ROYAL was a Canadian air carrier specializing in charter flights to destinations in Canada, the United States, Mexico, the Caribbean and Europe. ROYAL was a public company listed on the Toronto and Montreal Stock Exchanges. Royal operates a fleet of seven Boeing 727, two Lockheed 1011 and two Airbus 310 aircraft.